After 35 years, McDonald’s and Leo Burnett will part ways on January 1. But there have been plenty of good times, and plenty of memorable, catchy, or downright brilliant campaigns. Here’s the first and final roundup of the pair’s best work together – there won’t need to be an update. At least we’ll always have YouTube. Though Leo Burnett won the entire national McDonald’s account in 1981, it took a while for the previous spots by Needham, Harper & Steers to shake out. "You deserve a break today" had been one of their most popular campaigns back in the early 70s, and it had been revived mid-1981 and kept running until 1983. Burnett came up with a few slogans in the interim, but 1984’s "It's a good time for the great taste of McDonald's" is the best-known from the early years of Burnett’s tenure. This now-kitschy spot showcases the contemporary penchant for full-blown theme songs, rather than just a catchy jingle. Also, there’s a mime. Which, if you think about it, is a bit like a silent clown. Starring in what is arguably the third-best work of his career (after Seinfeld and Duckman), a young-ish Jason Alexander fails to sell the world on the dubiously-packaged McDLT. Despite a very snazzy toupee and radical moves, Alexander and this fun musical spot were saddled with a dog of a sandwich. What genius put the cheese on the cool side? The McDLT was a response to the rising popularity of Burger King’s Whopper, but it only lasted a few years, into the early 90s. Perhaps the best known and most beloved of the campaigns released during the Burnett monopoly, Mac Tonight didn’t actually originate at Burnett, but at one of the regional agencies on the West Coast -- Davis, Johnson, Mogul & Colombatto. The character proved so popular that more than two dozen spots were eventually created, most of them by Burnett. There was even talk of Mac taking over for Ronald McDonald someday, but Bobby Darin’s estate sued in 1989. That suit was eventually dropped, but Mac was abandoned. Dude, she’s just not that into you. Go, eat your feelings. "Good time for the great taste" got a new kid-friendly song, this time set in McDonaldland, sung by those now-familiar urchins that seemed to populate McDonald’s spots around this time. The whole gang makes an appearance: Ronald. Grimace, Hamburglar, Birdie, the Fry Guys and those talking hamburgers. (Sorry, Mayor McCheese.) And the real kids in these commercials were always a diverse bunch, a relative rarity in those days. Less memorable than its predecessor, this campaign grew out of an internal McDonald’s slogan. Despite the alliteration appeal, the campaign was short-lived, and one of the last before DDB broke back onto the roster. This series of spots starring NBA greats Michael Jordan and Larry Bird debuted during the 1993 Super Bowl and consistently ranks as one of the top Super Bowl ads of all time, and "Nothin’ but net" became part of the vernacular. In 2010, McDonald’s reprised the ad with LeBron James and Dwight Howard. Larry Bird made a cameo, but Michael Jordan didn’t take part. Maybe he won the first time. This Super Bowl spot was much simpler than "The Showdown," and it earned a Grand Prix at Cannes. The Jordan/Bird spot only won a Bronze Lion, which maybe demonstrates the fickle nature of awards shows and their limited power to predict cultural impact. 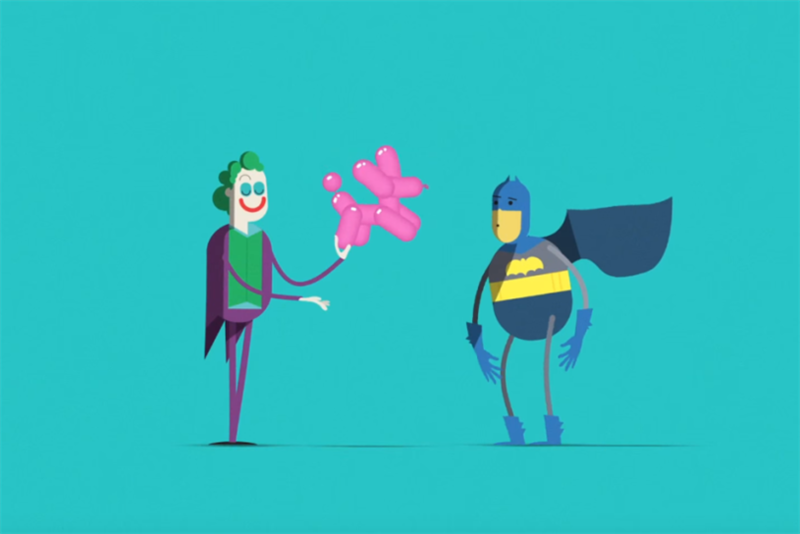 McDonald's Arch Enemies from Buck on Vimeo. In 2003, McDonald’s introduced its longest-running slogan ever, "I’m Lovin’ It." The phrase and the signature handful of notes was created by the DDB-owned German agency Heye & Partner, so much of the memorable McDonald’s work in the early part of the millennium came out of Burnett’s rival shop. Still, the slogan was the company’s, so Burnett worked with it, and in the last few years, they’ve really been focusing on the "love" part, includin this heartwarming paean to camaraderie and setting aside differences. Responses were mixed to this montage of local McDonald’s signs, whose sentiments range from sappy to overtly religious. Some viewers decried the obvious tug at low-hanging heartstrings, but one wonders if those people think other ads aren’t trying to manipulate them. This spot ran during the 2016 Oscars, part of the recent trend to tie ads to current events besides holidays or the Super Bowl. Sure, maybe no one asked McDonald’s to take a bow, but the proactive self-congratulation came off as funny, not smug, particularly alongside the preening of the Oscars crowd. Fueled by concerns about its ingredients and ubiquitous videos showing "pink slime" and nugget molds, McDonald’s revamped its signature Chicken McNuggets, removing the artificial colors, flavors and preservatives. While some health advocates applauded the move, others claimed McDonald’s was trying to imply that its other offerings are also free of the same junk. Without McDonald's, what will become of Leo Burnett?